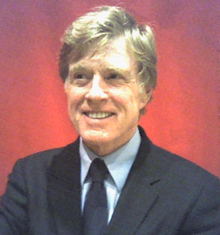 Meet Robert Redford's wax figure as the Sundance Kid inside the Western Room! He is the founder of the Sundance Film Festival, which he named after his character from the movie "Butch Cassidy and the Sundance Kid" (1969). In 2010, Robert was made a chevalier of the Légion d'Honneur. He was one of "TIME" Magazine's "100 Most Influential People in the World" in April 2014. “There are certain friendships that are sometimes too good and too strong to talk about."